While the resume does the heavy lifting, the cover letter should act as your voice. This post is by Helen Cunningham and Brenda Greene, authors of The Business Style Handbook, An A-to-Z Guide for Effective Writing on the Job. 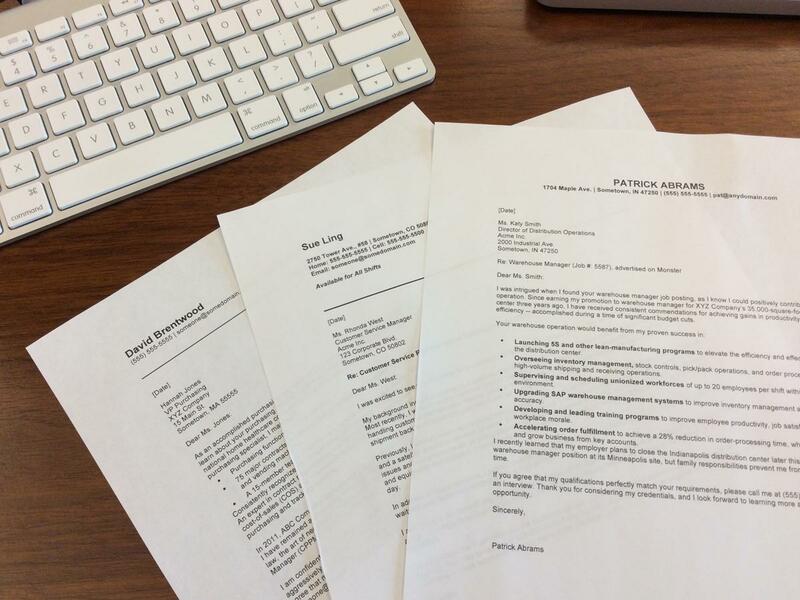 Many applicants do not include cover letters when applying for a position. Don’t make this mistake. Whether it is stated or not, cover letters are expected — and they can make all the difference on whether you are called in for that coveted interview. Make sure you take this opportunity to distinguish yourself from the other applicants. Also remember that hiring managers are inundated with cover letters and resumes. Make their jobs as easy as possible by telling them in the first paragraph which position you are applying for and how interested you are in working for that specific company. Generic cover letters won’t make you stand out from the crowd, but your interest in that company will. Don’t look at the cover letter as a throw-away; instead say something meaningful. “In the cover letter, you get actual communication instead of a list of skills, verbs, and years of experience…. That’s why the cover letter is a much better test than the resume. You hear someone’s actual voice and are able to recognize if it’s in tune with you and your company.” That’s the view from the book Rework, a business best seller by Jason Fried and David Heinemeier Hansson. What exactly should you say? There are a few elements that should be part of every cover letter. For instance, where you heard about the job (e.g., a Monster job posting or a friend recommended you to the company) as well as other pertinent facts that are not evident on your resume (perhaps you are considering relocation). After you have expressed your interest in the company and the open position, you can highlight your skills that make you an excellent fit for that position. Basically hiring managers are trying to match you up skill-for-skill with the current open position, so think keywords (those are the skill-related words that appeared in the job posting). Keywords not only make search possible, they also suggest that you understand and use the same language as your employer. Go through the job posting carefully and underline the words that are particularly important to the job you want to apply for at the company. Make sure these keywords show up in both your cover letter and resume (provided, of course, you actually have those skills). Obviously you want a new job for various reasons, but emphasize how you can bring value to the company — whether that means improving its bottom line, strengthening its safety record, saving it money or designing a killer app. Finally, make sure your cover letter reflects where you are at professionally and also where you want to be in the future. Don’t highlight skills you dislike performing, even though you are good at them. Instead emphasize the skills you want to spend more time developing going forward. If you are not making a lateral move, then make sure your cover letter reflects your desire to advance.